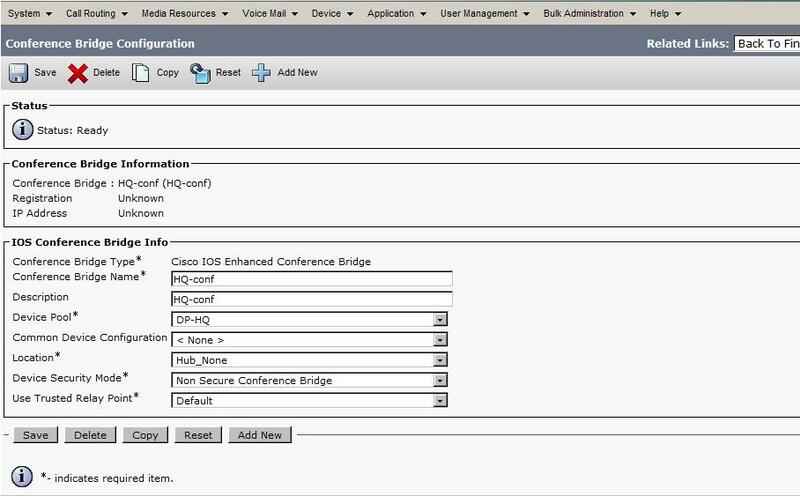 To make use of DSP resources for a Conference Call, we will have to enable Conference Bridge at the gateway. After adding the Conference Bridge, add it under Media Resource Group and then to MRGL. Add the MRGL under particular device pool or Gateway.